This evidence-based and clinically relevant text offers in-depth exploration of literature relating to mechanical syndromes and neck/trunk pain. Second edition is thoroughly updated and expanded into two volumes. Operational definitions and numerous tables provide clinical signs and symptoms to aid the clinician in recognizing suspect mechanical syndromes, or other diagnoses, relating to neck pain, headaches, spinal pathology, whiplash and more. Also detailed are methods to evaluate and prescribe specific exercises/manual treatment techniques. 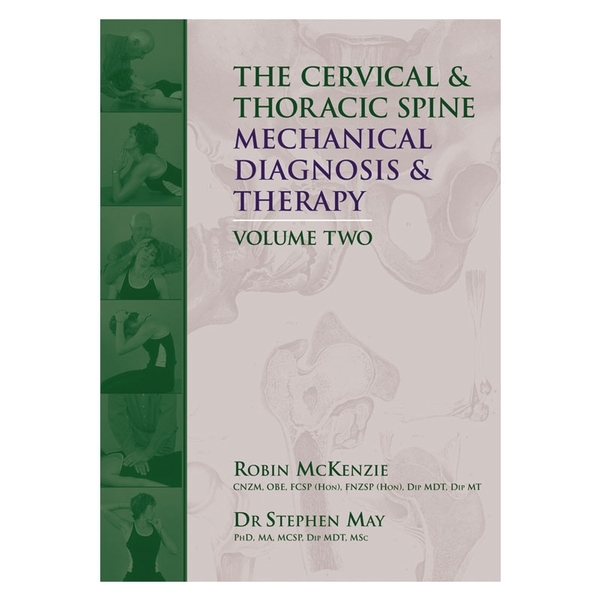 Written by Robin McKenzie and Dr. Stephen May. Illustrated. Softcover, 566 pages.